Free download Towns PC Game. It is a city building game simulator. This game is very light weight with low quality graphics and features. Before download this game, keep in mind that if you have already played Age of Empires or Command & Conquer Generals, then this will not create interest for you. 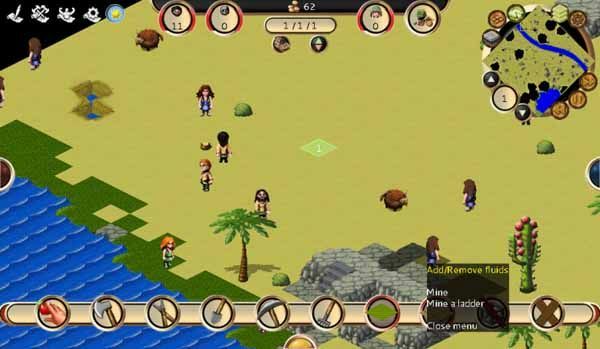 Towns game is said to be for kids and moreover it is available free in the form of demo. Because of its low quality graphics and less features, the size of the game Towns is not more than 30 MB. You can easily download and install it on your PC. To download the game Towns, just click on the download link given below. After downloading, you need to extract the downloaded file. You can use WinRAR or use ZipGenius to extract it. If you don’t have any program, you can extract it using default windows ZIP program. After extracting the downloaded folder, open it and run Towns.exe (application) file to install it. It is portable game so there is no need to install it. Just run and try to play it. The main menu of the game Towns contains Tutorial, New game, Mods, Servers, Options and Credits menus. At the end, there is Exit game that is very suitable for this game. Anyhow, you can try to play it through New game option.